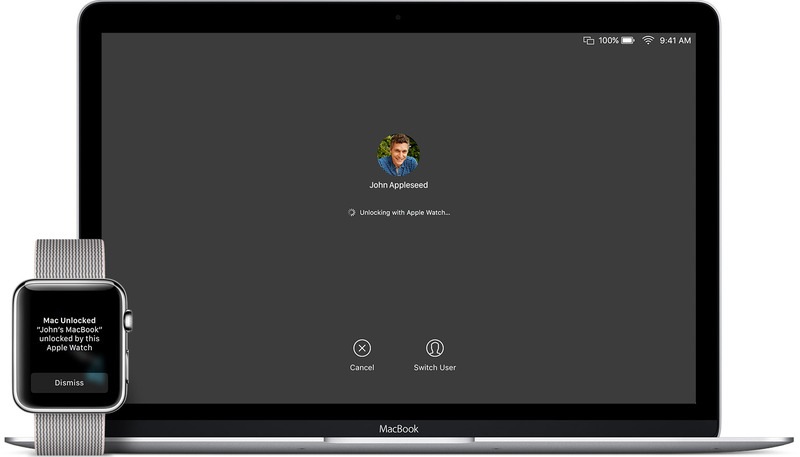 macOS Sierra debuted a new feature called Auto Unlock that lets you get into your Mac without typing your account password simply by wearing a passcode-protected Apple Watch. With Auto Unlock, you just wake up your Mac and if it senses you’re nearby and wearing your watch, it’ll log you in automatically. Yes, it just works! Auto Unlock imposes certain hardware pre-requisites in terms of modern Bluetooth and Wi-Fi chipsets. 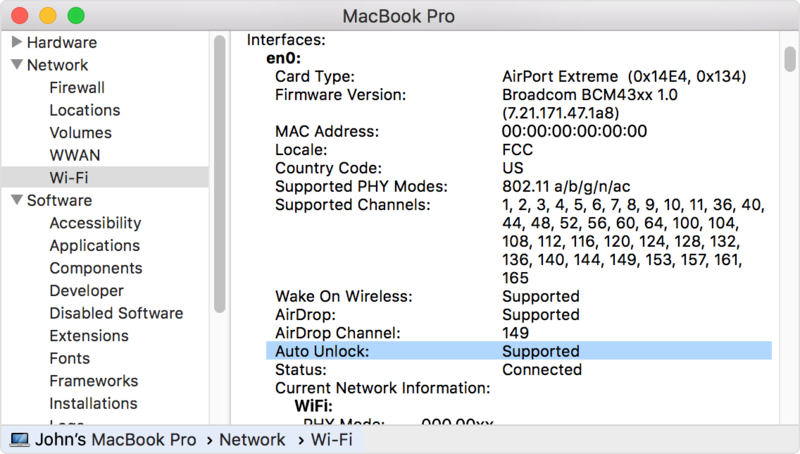 Here’s how you can quickly check if your Mac supports Auto Unlock. 1) Choose About This Mac from the Apple menu. 2) Click the Overview tab, then click the System Report button. 3) Select Wi-Fi in the sidebar, then look for Auto Unlock: Supported on the right. If you see “Auto Unlock: Supported,” your Mac meets Auto Unlock hardware requirements. If not, you’re out of luck. As a rule of thumb, Mac models manufactured before 2013 cannot use Auto Unlock. 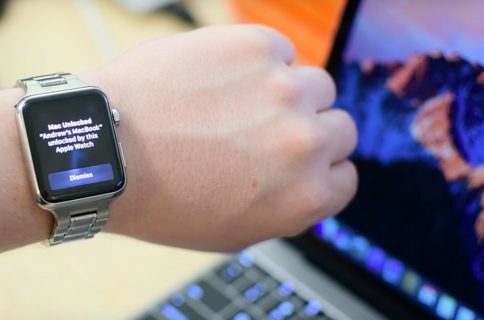 Before enabling Auto Unlock, be sure that your computer and watch are signed in to iCloud with the same Apple ID and run macOS Sierra 10.12 or later and watchOS 3 or later, respectively. Your watch must be protected with a passcode and your macOS user account must use a password in order for Auto Unlock to work. Bluetooth and Wi-Fi must be turned on on both devices. Another requirement: your Apple ID must use the modern Two-Factor Authentication rather than the older Two-Step Verification. If you need help enabling Two-Factor Authentication on your Apple ID or upgrading from Two-Step Verification to Two-Factor Authentication, consult our detailed tutorial. 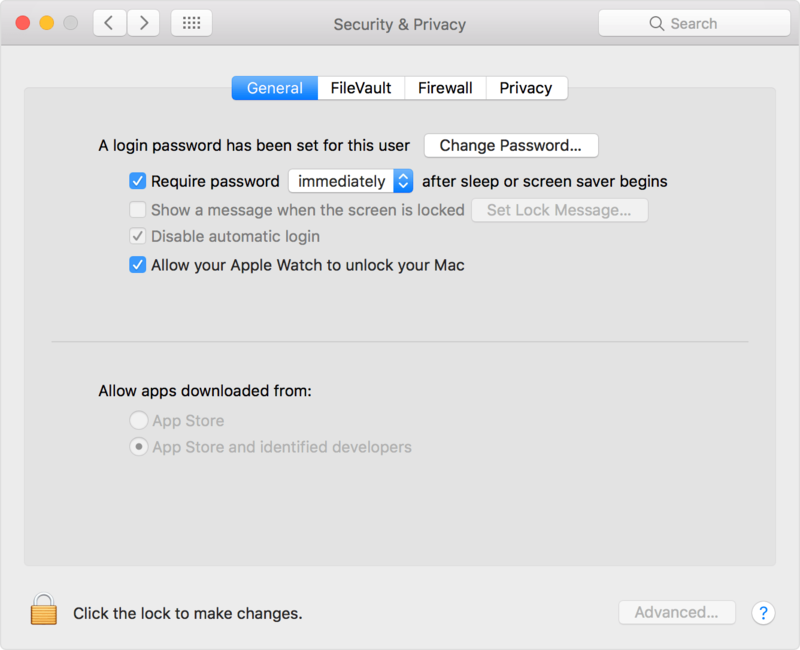 To enable Auto Unlock, tick the box next to ”Allow your Apple Watch to unlock your Mac” in System Preferences → Security & Privacy → General. 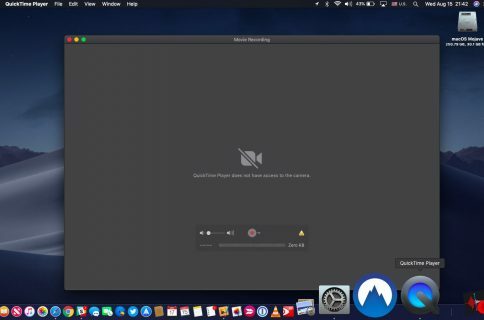 You will need to manually type in your macOS account password the first time you log in after you turn your Mac on, restart or log out. After that, Apple Watch logs in for you. For security purposes, Auto Unlock works only when your unlocked Apple Watch is a few inches away from your Mac. You shall receive a notification on your wrist every time Auto Unlock unlocks your Mac. If your Mac is using Internet Sharing, Auto Unlock won’t work. Do you use Auto Unlock?